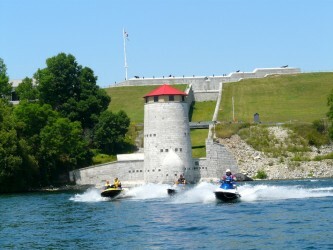 So what are the top 10 Ontario PWC sightseeing attractions for self guided Sea Doo adventures? Ask any Sea Doo tour riders and whether they’re experienced or beginners, you’re bound to get a variety of opinions. Same goes for other recreational boaters. 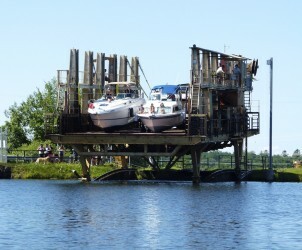 That’s because there are so many awesome sights along #ontariowaterways when I’m riding my Sea Doo GTX 155! Of course, the best of all is simply the majestic splendour that Mother Nature has bestowed to this province’s 250,000 lakes and 100,00 kilometres (62,000 miles) of rivers – and the best way to appreciate it is on a Sea Doo personal watercraft, generically called a PWC or jet ski! 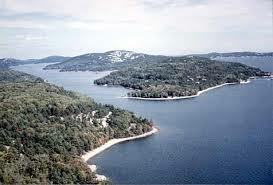 Want to see Baie Finn for yourself? Check out my North Channel Sea Doo Tour. Want to see Big Chute for yourself? 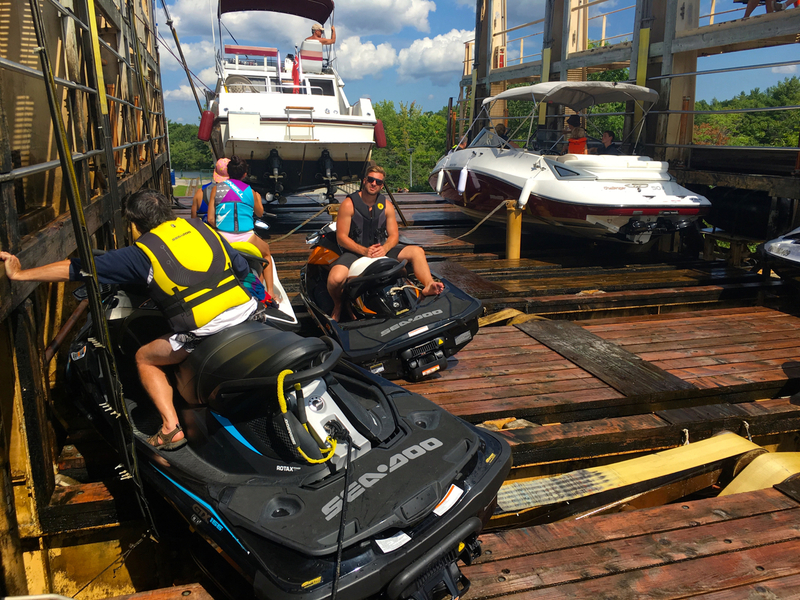 Check out my Severn River Sea Doo Tour. 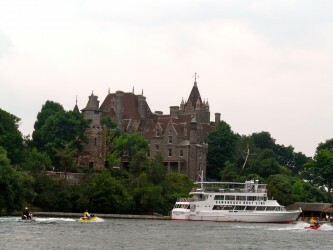 Want to see Boldt Castle for yourself? Check out my 1000 Islands Sea Doo Tour. The largest lock in the Parks Canada system is a truly impressive sight from above and makes a PWC rider feel pretty small when the lock walls are towering many stories tall on either side in the Ottawa River. Want to see Devil’s Rock for yourself? 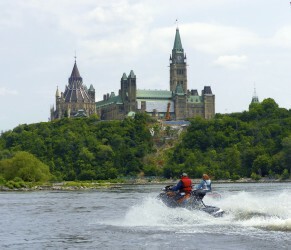 Check out my Upper Ottawa River Sea Doo Tour. Location: Georgian Bay west of Point au Baril on Ojibway Island – Lat & Long unavailable. Note: The map location link isn’t right either, so ask before trying to find it on your own! Want to see Ojibway Club for yourself? Check out my Georgian Bay Sea Doo Tour. Want to see Old Fort Henry for yourself? 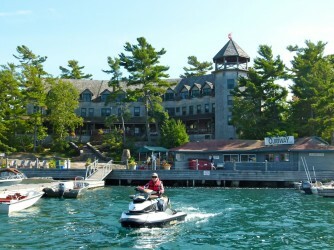 Check out my 1000 Islands Sea Doo Tour. 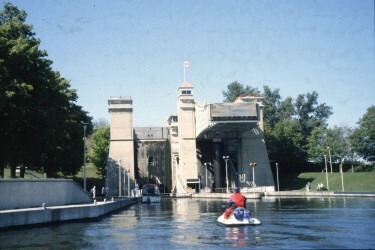 The navigable section of the Lower Ottawa ends within a stone’s throw of Canada’s Parliament Buildings near the mouth of the Rideau Canal. The seat of our national government in Ottawa looks totally different from the water. 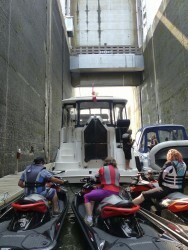 Want to see the Peterborough Lift Lock for yourself? Check out my Otonabee River Sea Doo Tour. Want to see Bird Rock for yourself? 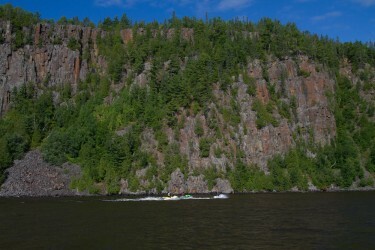 Check out my Upper Ottawa River Sea Doo Tour. On any given day, I might add a couple more terrific sights to this list, but it’s a good start. 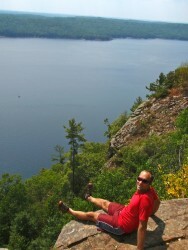 What are your favourite Ontario PWC Sightseeing Attractions? Check out more Sea Doo Tours!